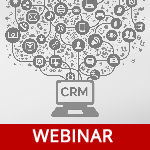 By the way, we have a vast library of SugarCRM webinars https://integroscrm.com/sugarcrm-video-tutorials-and-webinars/. Here you may find useful ideas on how to make your CRM system more powerful and convenient. We update it with new webinars regularly, so you’re welcome!